1. We’ll start of in Dryden with some revisions to the Trinitas project. This project has slowly but steadily been winnowed down in size. The original proposal in late May was 224 units and 663 beds. The June revisions dropped that figure to 22 units and 649 beds. Now with the latest set of revisions, the unit and bed count has fallen to 220 units and 610 beds. In other words, capacity has dropped by about 8% so far. A copy of the presentation Trinitas gave to the town board last month can be found in their minutes on the town website here. From a site plan perspective, you can see a number of substantial changes – some townhouse buildings were lengthened in the southern corner, other strings shortened or broken up, the clubhouse/community building is now a mixed-use structure, and a couple of townhouse strings were deleted outright. About the only portion that was unchanged was the trio of structures closest to Dryden Road. The early working name for this project was “Fall Creek Village”, which while referencing Fall Creek just to its north, may not have been a wise choice given the neighborhood of Fall Creek in Ithaca, which has been the epicenter for Ithaca’s gentrification. It was suggested they change the name, ideally to something with “Varna” in it. There’s about a hundred other pros, cons and general thoughts shared during the meeting, which can be read here. The project team would like to have approvals by the end of the fall, for a Spring 2019 – August 2020 construction period. As all the paperwork is filed, reviewed and discussed, expect more revisions to the project before any final approval is considered and granted. 2. Tompkins Financial may have relocated all its operations to its new headquarters, but that doesn’t mean its the end of the road for its old properties. 1051 Craft Road, formerly home to the Tompkins Insurance Agency, was sold to Ithaca Dermatology Associates of Ithaca on June 5th for $1.2 million. The 7,541 SF building was built in 1995 and assessed at $990,000, so Tompkins Trust did okay with the sale price – they purchased the building for $965,000 in 2007. The new chapter is, as you might’ve already guessed, medical office and service space. With the assistance of a $1.5 million construction loan from Tompkins Trust, the Ithaca Dermatology is renovating the building for its new clinic. The hard cost of the renovations (materials/labor) is $1.025 million, and the spruced up facilities are expected to be open by January. Local architecture firm Chiang O’Brien, who have a specialty in medical facilities (they did Cornell Health’s new building and Planned Parenthood’s new regional HQ) is designing the renovated space, and Hammond Heating and Plumbing is the contractor. 3. If you’re looking for something interesting in local planning board agenda, there isn’t much to see at the moment. 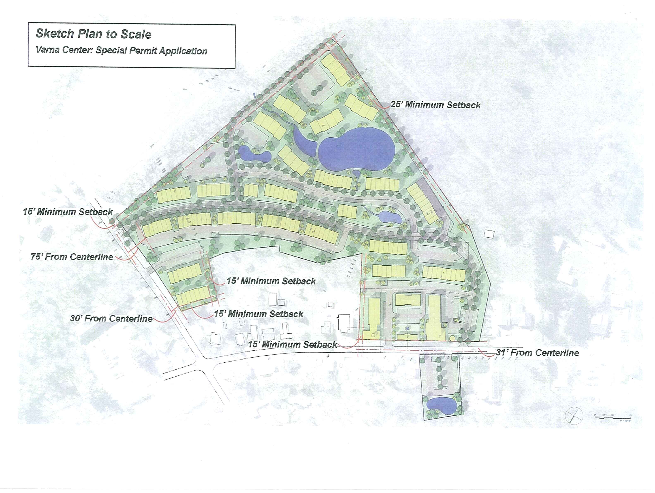 The town of Ithaca’s PB will be looking at a vacant lot subdivision between 721 and 817 Elmira Road (no future plans stated), and a lot subdivision on Enfield Falls Road to create three home lots and a large wooded parcel to be conveyed to the state as a conserved natural area. Over in Lansing, they’ll be looking at a plan for five micro-sized rental cottages at 16 Hillcrest Road. 4. The near-waterfront office building at 798 Cascadilla Street has been sold. 798 Cascadilla LLC made a deal with the too-similarly named Cascadilla 798 LLC for $2.55 million on Thursday the 12th. As reported when then building went on sale, the 18,271 SF office building is home to Palisade Corporation, a software firm specializing in decision making/risk analysis tools. 798 Cascadilla LLC is the managing company for Palisade co-founder Sam McLafferty, who recently passed away. Cascadilla 798 LLC is a bit of a question mark – they were created in May and registered to this address, so maybe someone else associated with Palisade is buying it. The asking price for 798 Cascadilla was $2.7 million, and the tax assessment is for $2 million. Pyramid Brokerage’s David Huckle conducted the sale. 5. Maybe something the infill folks in the city want to watch – 622 West Clinton Street just sold to Jerame Hawkins, who two years ago wanted to do an affordable duplex (60% Area Median Income) to replace the old barn (yes, barn) at the rear of the property, as well as keep the existing house locked in as affordable housing. Carina would have supplied the modular units for the three-bedroom townhomes, and Finger Lakes ReUse would have salvaged the barn. Hawkins had applied for $135k in IURA federal grant funds, but the proposal was not funded. However, his purchase of the property now makes a potential affordable infill project somewhat more likely, though we’ll have to wait and see. 6. Color me intrigued – does Pat Kraft have a tenant lined up for the ground level of his Dryden South building at 205 Dryden Road? I have yet to see paperwork, but we’ll see. 7. It appears the Stavropoulos family, local landlords who have undertaken several smaller-scale projects in recent years, are about to add to their holdings. It would appear they are buying out Jagat Sharma’s properties as the well-known Collegetown architect heads into retirement (since he’s almost 80, I can’t blame him). The Stavropoulos purchased a four-unit house at 208-210 Prospect Street from Sharma this week (for $480k, well above the $350k assessed), and an LLC notice was posted recently for 312 East Seneca LLC, which is registered to the Stavropouloses’ home address. 312 East Seneca is also the office of Sharma Architecture (and the cat cafe), and was eyed as a potential Visum acquisition for its Seneca Flats mixed-use plan at 201 North Aurora Street (Visum has conceptual plans for versions with and without Sharma’s lot, so this sale doesn’t kill their plans, though not having the property shrinks it somewhat). Slowly but steadily, the Stavropoulos are buying and building their way to significantly-sized landlords. Current projects include the 11-unit building finishing up at 107 North Albany Street, and the infill duplex planned for 209 Hudson Street. Last year, they developed four units at 1001 North Aurora Street, and they have a dozen other properties throughout the city under the business name “Renting Ithaca“. I. Solicit the state attorney general for ways it might be able to legally expand or enhance its Community Housing Development Fund with Cornell and the city of Ithaca. The CHDF is the only way the county can fund housing development since it can’t legally fund housing development directly, but CHDF is relatively limited in its scale and abilities. II. Develop a proposal for a municipal matching fund to help with grant writing for affordable housing, zoning improvement and infrastructure to serve affordable housing. III. Planning staff will conduct an infill site analysis in development focus areas (Downtown, State Street Corridor). This would potentially find opportunities in surplus or underused county property that may be developed as affordable housing through an RFP process. IV. Planning Staff will participate in the Policy Lab Study (“Jennifer and George’s Study”) to provide data and help inform the client committee. I honestly have no idea what this refers to.